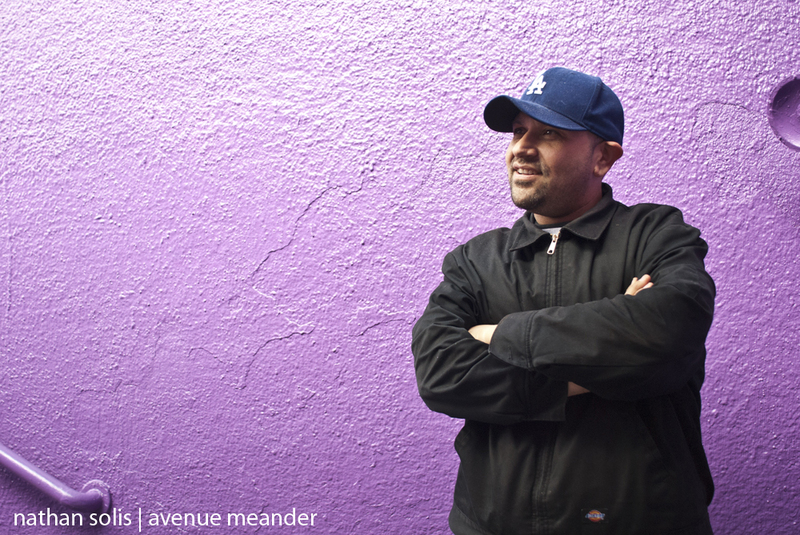 Quinones managed to reopen one of the pedestrian tunnels under Figueroa Street by his coffee shop. The tunnel now hosts monthly art gallery shows. 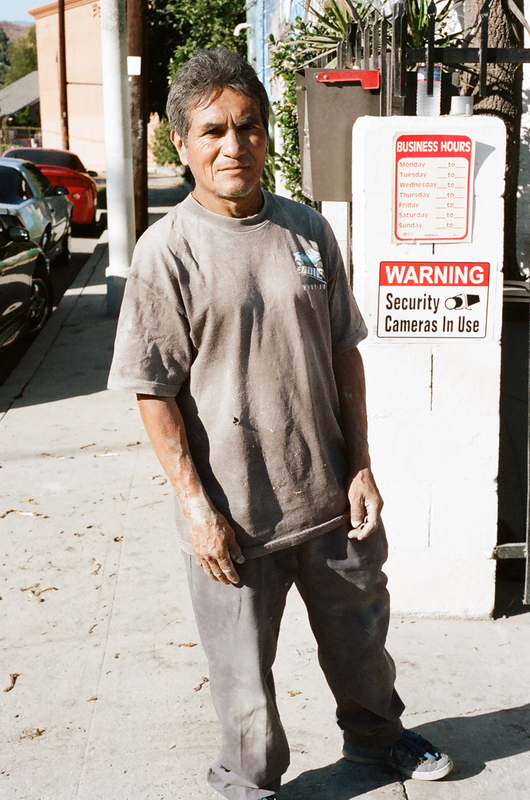 So, it’s an underground art scene – literally. 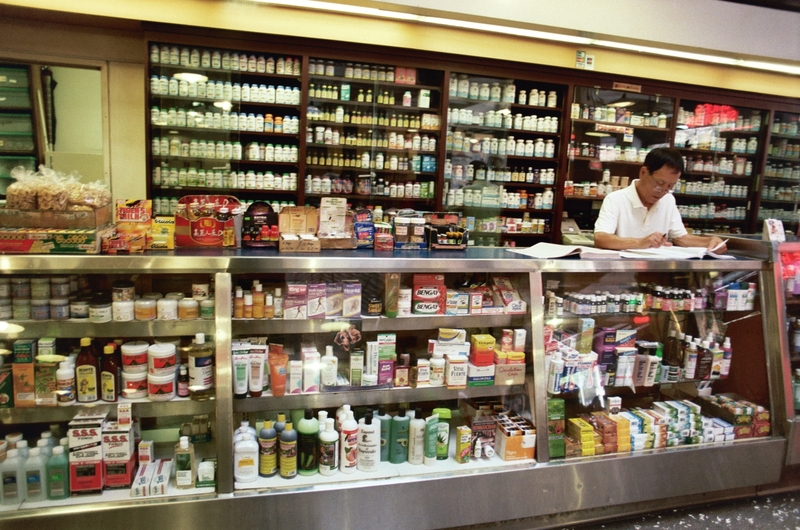 It was only last year that Grand Central Market in Downtown Los Angeles had a pharmacy. But now it seems to antiquated. 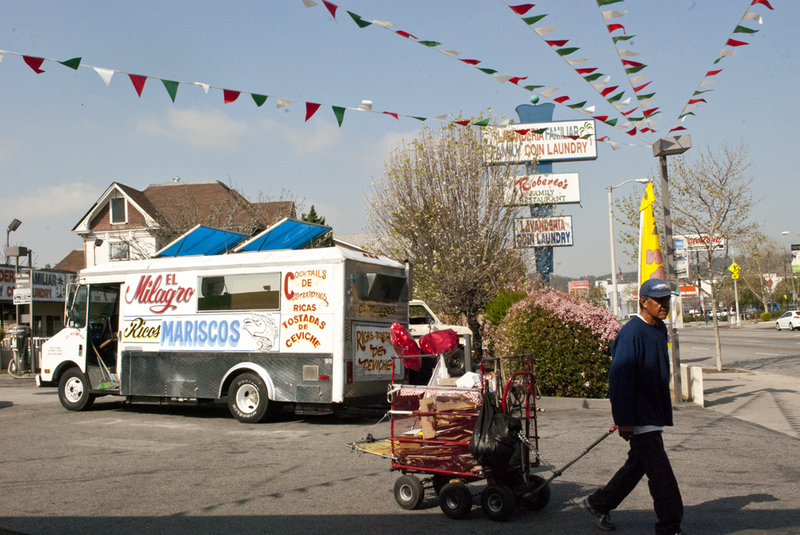 Imagine explaining to someone that there was a man who sold ginseng root and black walnut across the room from the torta stand. 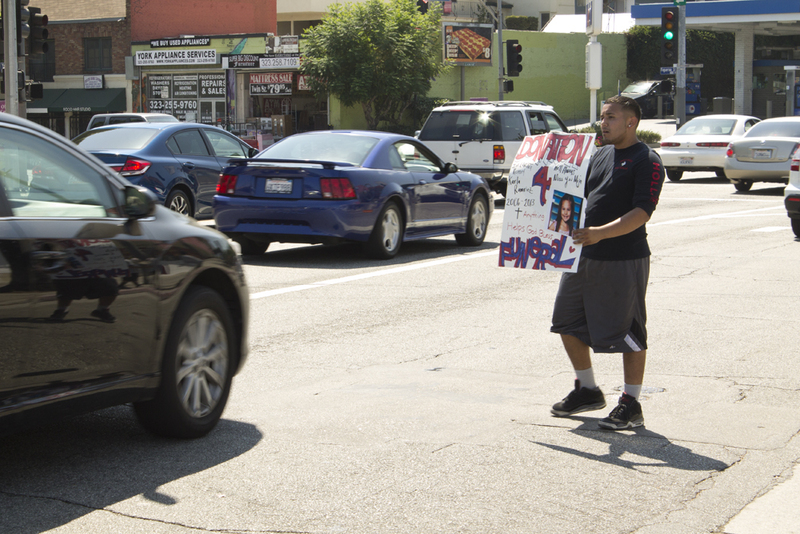 July 9, 2013 – Intersection of York Boulevard and Figueroa Street. 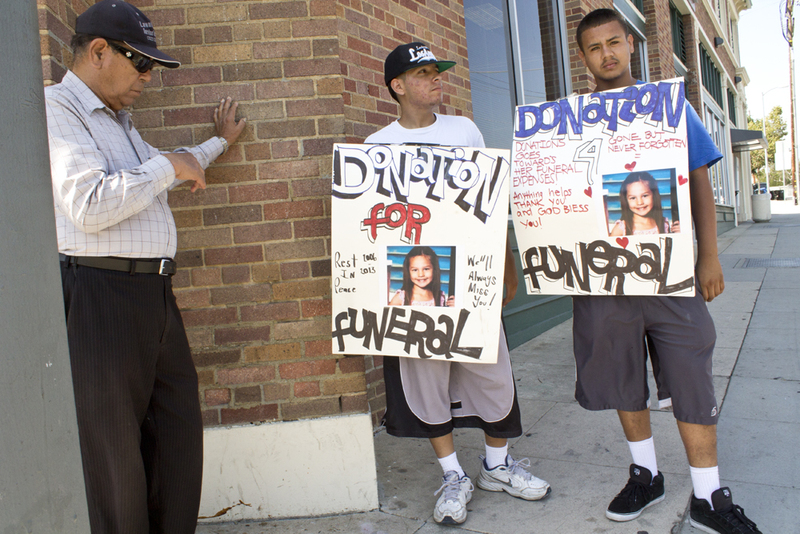 Four young men collection donations for the funeral of 7-year old Carla Ramirez who died in a car crash Sunday, July 7. “I’ve known the family for years, since I was in the first grade,” said Jose Sanchez, 19, who is friends with the older cousin of Ramirez. The accident occurred in the Whittier area, next to Interstate 605. When Sanchez held up a taped over shoebox he explained that people asked a lot of questions, but still gave. “We tell them the truth. Tell them the story. What happened. People are good,” Sanchez added. The wake for Ramirez is the following Wednesday. The California Highway Patrol was unavailable at the time of this posting to answer any questions about the crash.